. . Don began calling in 1988 as an adjunct to the tape workshops which we held at our home for local dancers since the early 1980's. The next step was to rent a hall and call some open dances, which lead to teaching basic squares. As the years went by calling dates brought travel to clubs in Massachusetts, New York, New Jersey and Pennsylvania as well as our home state of Connecticut. While traveling our calling includes dates in Georgia and in Florida for the National Square Dance Convention. Now, settled in Florida as full time residents our program has included our own club events, the Dancing Feats, as well as dates in Florida clubs. Calling Basics, Mainstream, Plus, Advanced and Challenge Squares. We travel frequently and would be happy to call for your group. Summers sometimes find us wandering in the north by RV so, lets make a date. Time has taken it's toll on this hobby. 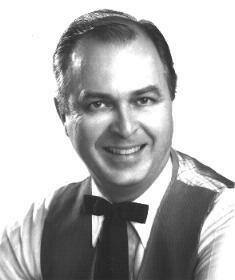 After all those years, we hung up our dancing shoes and callers microphone on May 4th, 2005. Don was fortunate to get to know a number of the finest callers in the nation, and had their support for the opportunity to call at the 1997 and 1998 National Advanced and Challenge Conventions. Those conventions provided calling spots at A2 through C3B. 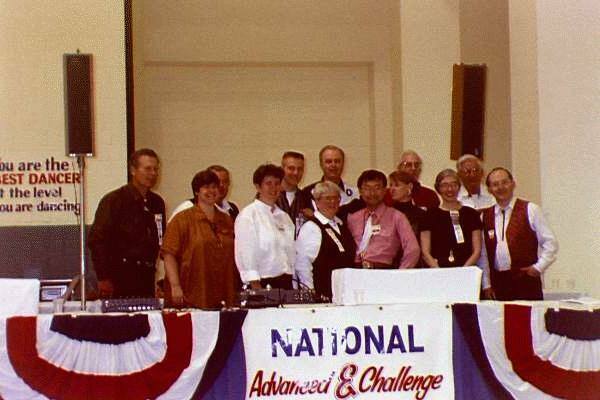 This photo is of the Non-Staff Callers group of 1997 , Don in the 2nd row, (over the "I" ).